You might not have noticed, but today (14th September) is National Quiet Day. As well as sounding like the best idea for a National Day ever, it has been started by Whirpool to draw attention to all the unnecessary noise in our homes. The place in which we should feel the most relaxed and calm, is often the busiest and most stressful, with loud TVs and stereos, chirping phones and tablets, and rattling appliances in the kitchen. Of all of them, which is the noisiest? Has to be the washing machine on spin cycle, right? Well, maybe no more thanks to the Whirlpool Supreme Care washing machine. Whirlpool very kindly furnished Test Pit Towers with one of their latest and most advanced machines gratis; so confident that we would be impressed by it. 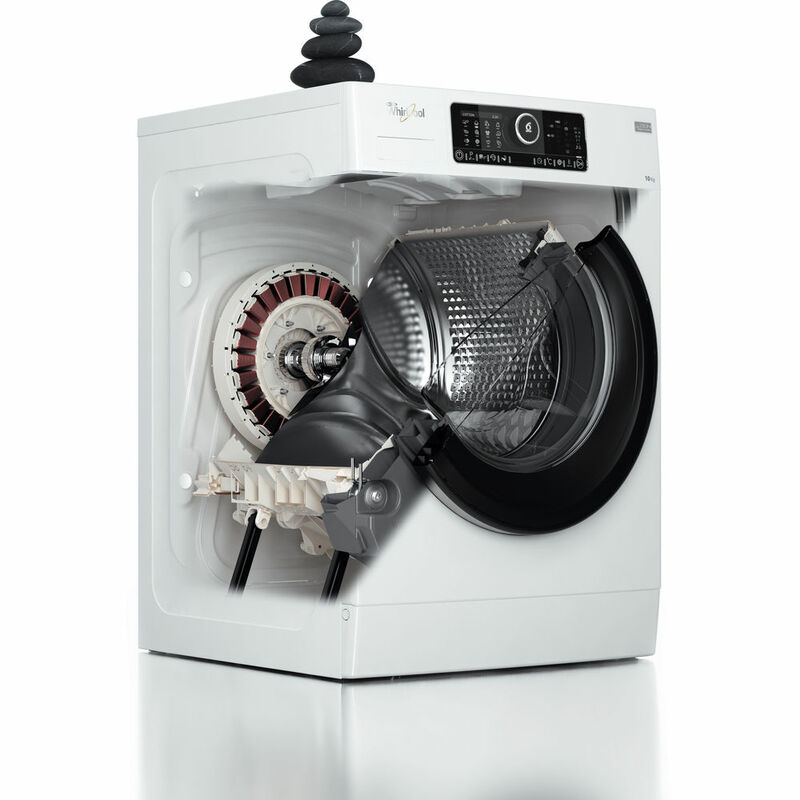 The Whirlpool Supreme Care washing machine features a 10kg capacity drum, a touch-responsive control panel (with a big twisty knob), and lots of clever design quirks on the inside. First up, for those concerned with both the tightness of their purse strings and the environment, this machine boasts an A+++ energy efficiency rating. Thanks to Whirlpool's '6TH SENSE®' technology, sensors can actually detect the weight and type of the load, adjusting the wash cycle's duration and amount of water used. This means that it won't waste a tonne of water and electricity on just a single pair of socks, even if they are your favourite. 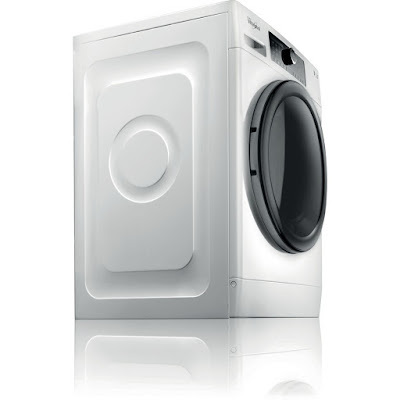 Those same sensors can also make sure that the quality of the wash is vastly better than with a standard washing machine. The motion of the drum itself can be changed to ensure that all the garments get an even and gentle clean. The first time we took a load out we were taken aback at how soft everything felt, despite still being damp. This thing doesn't just spin quickly and push all the clothes into the drum's nook and crannies to get squashed. ZENTechnology™ essentially replaces the traditional belt drive in the machine with a traction motor that is connected directly to the drum. 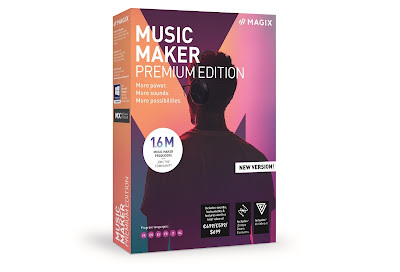 The idea behind this is to reduce the vibrations caused by the drum spinning, and therefore lower the overall noise. And by crikey, it works. Even on the highest spin setting with a drum full of clothes, the Whirlpool Supreme Care washing machine is the quietest washing machine we've ever seen and heard. Obviously, the thing isn't totally silent (we assume Whirlpool is working on that machine as we type), but for the first time ever, we were able to close the kitchen door and not hear the washing machine. Like, at all. Even being in the same room as it while it spins is fine, and gave us lots of opportunities to say 'is it on?' to each other. We found it was comparable to a TV at a fairly normal volume level – imagine watching a documentary about a washing machine. That is what this washing machine sounds like. Whoa... meta! It is certainly quieter than any other “loud” home appliance, like a hair dryer, vacuum cleaner, and blender. 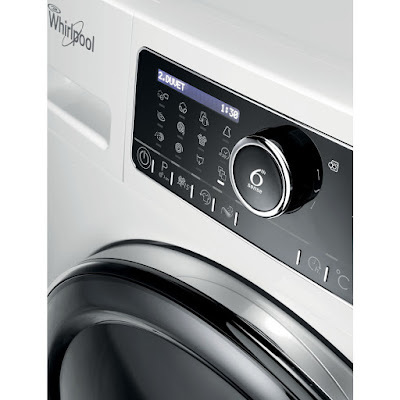 Whirlpool tells us it reaches a maximum of at just 68db, which is only slightly louder than a normal conversation. The Whirlpool Supreme Care washing machine therefore has a Quiet Mark accreditation, something we've never before considered but definitely will from now on. Making our homes quieter and more peaceful, (more Zen, if you will) seems like a really good idea, especially considering how loud the outside world is getting each and every day. So National Quiet Day is a wonderful opportunity to think about the annoying noises in your house, and we don't just mean your kids. There is so much to recommend about the Whirlpool Supreme Care washing machine, and it definitely ticks all the boxes. 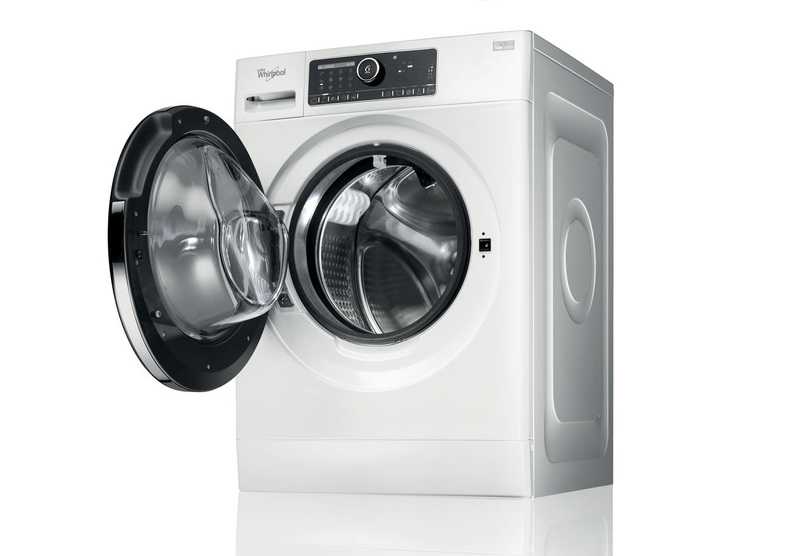 Great for the environment, cheaper to run, intuitive and simplified controls, a better quality of wash, and quieter than any other spin cycle out there – check it out.